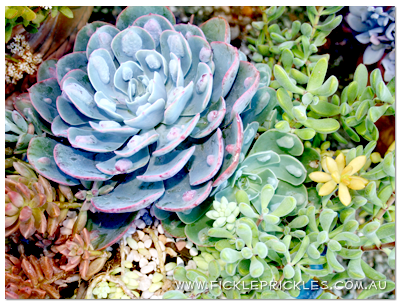 Winter’s continuous rain can, from time to time, rot some of your precious succulents and cacti. Having your favourite species in pots means that you can move them to areas where the watering can be controlled by you. Move them to under the eaves of your house or under your pergola for Winter. They will thank you for it!! !